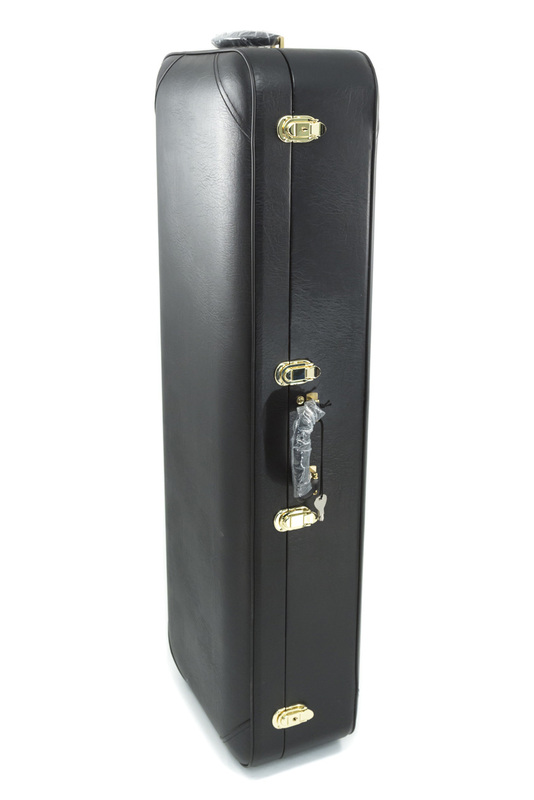 This is the official Yanagisawa Baritone Sax Case that is supplied with the current models. This deluxe case has backpack straps zipped into the back cover, has a hard shell that will provide ample support and has 3 strong clasps to keep the instrument safe. This model is designed for the current B901/B902 and B991/B992 models which go to low A. Please note this case may not be suitable for other brands, please contact us for advice if required on fit suitability. Internally the case has a padded and plush interior to support your Sax and comes with a space for neck and also for spare accessories. There is an external handle on the side and on the top for various carrying options.